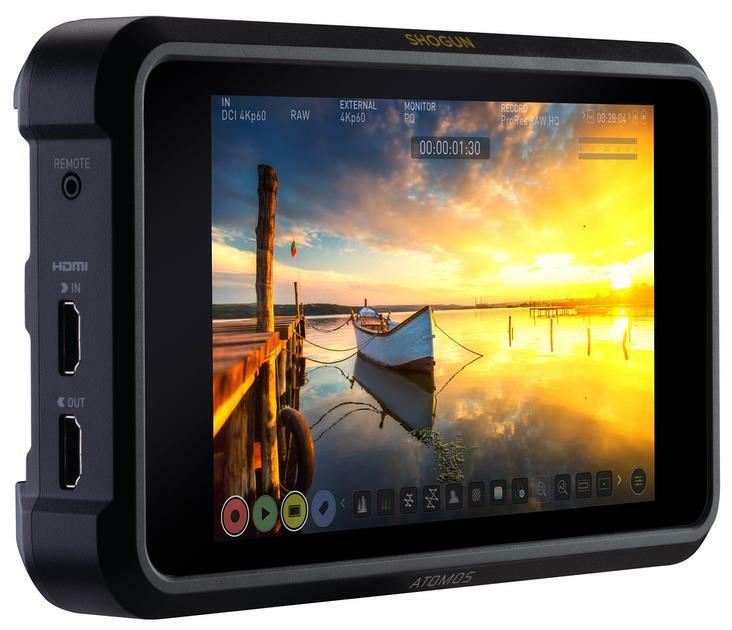 Melbourne, Vic – 4 April, 2019: The new Atomos Shogun 7 is the ultimate 7-inch HDR monitor, recorder and switcher. Precision-engineered for the film and video professional, it uses the very latest video technologies available. Shogun 7 features a truly ground-breaking HDR screen - the best of any production monitor in the world. See perfection on the all-new 1500nit daylight-viewable, 1920x1200 panel with an astounding 1,000,000:1 contrast ratio and 15+ stops of dynamic range displayed. Shogun 7 will truly revolutionize the on-camera monitoring game. With Shogun 7 blacks and colors are rich and deep. Images appear to ‘pop’ with added dimensionality and detail. The incredible Atomos screen uses a unique combination of advanced LED and LCD technologies which together offer deeper, better blacks than rival OLED screens, but with the much higher brightness and vivid color performance of top-end LCDs. Objects appear more lifelike than ever, with complex textures and gradations beautifully revealed. In short, Shogun 7 offers the most detailed window into your image, truly changing the way you create visually. A new 360 zone backlight is combined with this new screen technology and controlled by the Dynamic AtomHDR engine to show millions of shades of brightness and color, yielding jaw-dropping results. It allows Shogun 7 to display 15+ stops of real dynamic range on-screen. The panel is also incredibly accurate, with ultra-wide color and 105% of DCI-P3 covered. For the first time you can enjoy on-screen the same dynamic range, palette of colors and shades that your camera sensor sees. Atomos and Dolby have teamed up to create Dolby Vision HDR “live” – the ultimate tool to see HDR live on-set and carry your creative intent from the camera through into HDR post production. Dolby have optimised their amazing target display HDR processing algorithm and which Atomos have running inside the Shogun 7. 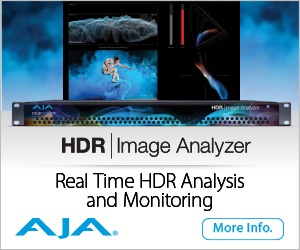 It brings real-time automatic frame-by-frame analysis of the Log or RAW video and processes it for optimal HDR viewing on a Dolby Vision-capable TV or monitor over HDMI. Connect Shogun 7 to the Dolby Vision TV and magically, automatically, AtomOS 10 analyses the image, queries the TV, and applies the right color and brightness profiles for the maximum HDR experience on the display. Enjoy complete confidence that your camera’s HDR image is optimally set up and looks just the way you wanted it. It is an invaluable HDR on-set reference check for the DP, director, creatives and clients – making it a completely flexible master recording and production station. “We set out to design the most incredibly high contrast and detailed display possible, and when it came off the production line the Shogun 7 exceeded even our expectations. This is why we call it a screen with “Unbelievable HDR”. With multi-camera switching, we know that this will be the most powerful tool we’ve ever made for our customers to tell their stories“, said Jeromy Young, CEO of Atomos. Shogun 7 records the best possible images up to 5.7kp30, 4kp120 or 2kp240 slow motion from compatible cameras, in RAW/Log or HLG/PQ over SDI/HDMI. Footage is stored directly to reliable AtomX SSDmini or approved off-the-shelf SATA SSD drives. There are recording options for Apple ProRes RAW and ProRes, Avid DNx and Adobe CinemaDNG RAW codecs. Shogun 7 has four SDI inputs plus a HDMI 2.0 input, with both 12G-SDI and HDMI 2.0 outputs. It can record ProRes RAW in up to 5.7kp30, 4kp120 DCI/UHD and 2kp240 DCI/HD, depending on the camera’s capabilities. 10-bit 4:2:2 ProRes or DNxHR recording is available up to 4Kp60 or 2Kp240. The four SDI inputs enable the connection of most Quad Link, Dual Link or Single Link SDI cinema cameras. With Shogun 7 every pixel is perfectly preserved with data rates of up to 1.8Gb/s. Shogun 7 eliminates the need for a separate audio recorder. Add 48V stereo mics via an optional balanced XLR breakout cable. Select Mic or Line input levels, plus record up to 12 channels of 24/96 digital audio from HDMI or SDI. You can monitor the selected stereo track via the 3.5mm headphone jack. There are dedicated audio meters, gain controls and adjustments for frame delay. Atomos continues to refine the elegant and intuitive AtomOS operating system. Shogun 7 features the latest version of the AtomOS 10 touchscreen interface, first seen on the award-winning Ninja V. Icons and colors are designed to ensure that the operator can concentrate on the image when they need to. The completely new body of Shogun 7 has a sleek Ninja V like exterior with ARRI anti-rotation mounting points on the top and bottom of the unit to ensure secure mounting. AtomOS 10 on Shogun 7 has the full range of monitoring tools that users have come to expect from Atomos, including Waveform, Vectorscope, False Color, Zebras, RGB parade, Focus peaking, Pixel-to-pixel magnification, Audio level meters and Blue only for noise analysis. Shogun 7 is also the ultimate portable touch-screen controlled multi-camera switcher with asynchronous quad-ISO recording. 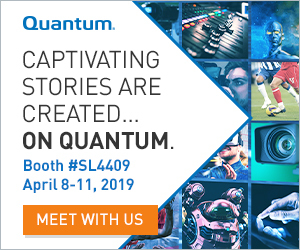 Switch up to four 1080p60 SDI streams, record each plus the program output as a separate ISO, then deliver ready-for-edit recordings with marked cut-points in XML metadata straight to your NLE. The current Sumo19 HDR production monitor-recorder will also gain the same functionality in a free firmware update. 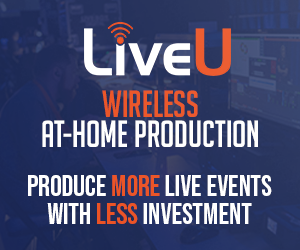 Sumo19 and Shogun 7 are the ideal devices to streamline your multi-camera live productions. Enjoy the freedom of asynchronous switching, plus use genlock in and out to connect to existing AV infrastructure. Once the recording is over, just import the xml file into your NLE and the timeline populates with all the edits in place. XLR audio from a separate mixer or audio board is recorded within each ISO, alongside two embedded channels of digital audio from the original source. The program stream always records the analog audio feed as well as a second track that switches between the digital audio inputs to match the switched feed. This amazing functionality makes Shogun 7 and Sumo19 the most flexible in-the-field switcher-recorder-monitors available. Shogun 7 will be available in June 2019 priced at $US 1499/ €1499 plus local taxes from authorized Atomos dealers. Atomos continues to demonstrate its commitment to putting users first through continual innovation at amazing price points. The company developed the AtomOS operating system dedicated to video recording with an elegant and intuitive touchscreen user interface and was also the first to implement the professional Apple ProRes RAW format for recording with cinema cameras. Atomos is based in Australia with offices in the USA, Japan, China, UK and Germany and has a worldwide distribution partner network.